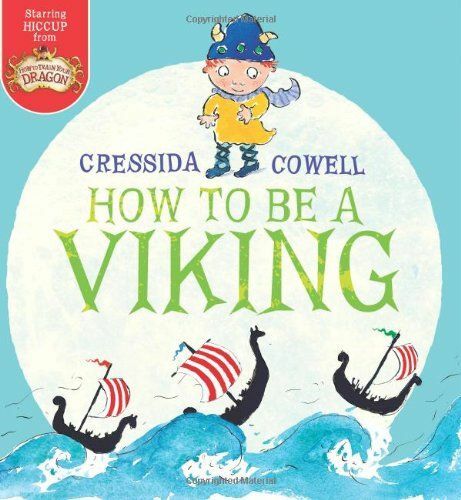 The first HOW TO TRAIN YOUR DRAGON book ever, and the inspiration for Cressida Cowell's best-selling fiction books that is now a Dreamworks feature film.So begins Cressida Cowell's stories about a little Viking who cannot fit in. Unlike his dad, Stoick the Vast, Hiccup is tiny, thoughtful and polite and scared of almost everything - especially of going to sea for the very first time. But go he must... So who will save the day when everything goes wrong aboard ship and all the big Vikings lose their cool? This wonderfully witty fable will delight all those who have ever faced up to their worst fears.This 2014 reissue includes a letter from Cressida Cowell to the reader.